These aren’t the first spy photos of the Audi A1 Allroad but they’re closer than before, allowing us to get a better look at it. From a far, though, we wouldn’t blame anyone for thinking it was just a standard A1 hatch. Its Allroad styling isn’t as dramatic as the A4 Allroad’s. Still, these close up shots do show off its Allroad nature. For instance, its taller ride height is immediately recognizable and it definitely seems to have some plastic cladding on its wheel arches. Those two things are Allroad staples and suggest that this little Audi is indeed one. We’re excited about the Audi A1 Allroad, though, because it has the potential to be really fun. Its small footprint, slightly taller ride height and agile chassis give it good bones to make a fun little rally-style car. Give it the 2.0 liter turbo four from an Audi A3, some more off-road-oriented tires and a manual gearbox and you’ve got one fun little car on your hands. 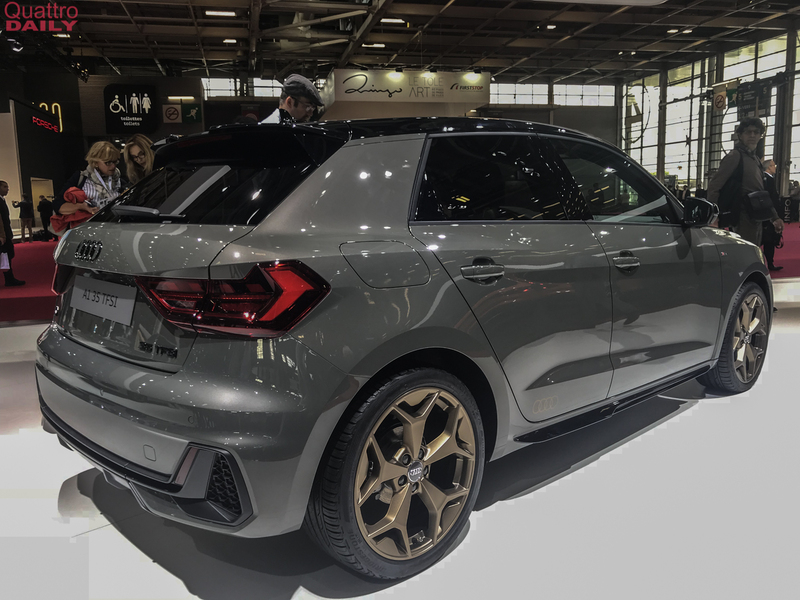 It might not be a remake of the original Audi Sport Quattro but it would be a buzzy little thing on the snow and in the mud. Obviously, that’s not what Audi is going for. It’s aiming at customers who want a small premium hatchback for city driving but also want to pretend that they have active lifestyles; full of camping, hiking and cycling. Still, it would be cool if Audi recognized the potential for fun here. If it doesn’t, fans and tuners will.